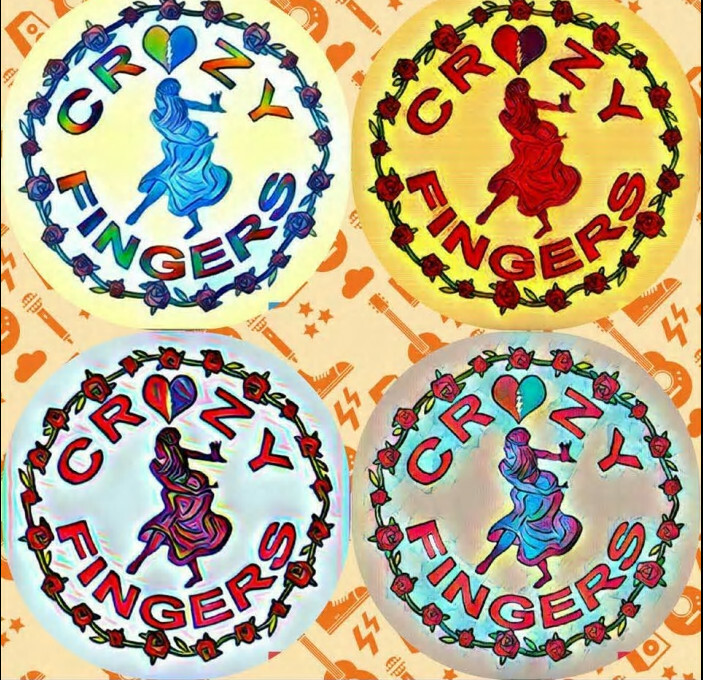 Crazy Fingers performed their first official show at a private party at Ultimate Farms in Delray Beach FL on Halloween, 10/31/90. A splendid time was had by all. The original lineup was Bubba Newton on bass,Pete Lavezzoli on drums, Mike Greene on rhythm guitar, and Al Zilinsky on lead guitar. In 1993, Corey Dwyer and Rich Friedman joined the band, with Corey on keyboards and guitar, and Rich on guitar. Both Rich and Corey also sang, joining Pete to give Crazy Fingers a three-part vocal sound. Within a year of Rich and Corey’s arrival, the band began touring the state of Florida, opening for national acts, and writing original music which has been recorded on two CDs to date. By the mid 90’s, keyboardist Josh Foster began joining the band for special events and statewide shows, eventually relocating from Tampa to become a full member in 1998. Throughout these years the band went through a series of brief changes in the lineup and settled it’s longest lineup of Bubba, Pete, Corey, Rich, and Josh. The band continued to build its fan base by playing weekly shows and expanding their repertoire. Rich took some time off from 2007 to 2011 and Billy Gilmore joined the lineup. In 2014 the band lost Corey to a tragic car accident. It was a huge blow to the band yet even through tough times the band has managed to continue. In 2015 Bubba left and the band was forced to find replacements. Jarrett Aaronson joined the band on Bass and in 2015 the difficult search for a guitar player ended when Johnny Nichols joined the band. Jarrett left in 2016 and Bubba Newton returned to complete the current lineup. Crazy Fingers is Rich, Josh, Pete, Bubba, and Johnny, keeping the band alive and continuing to play on a weekly basis throughout Florida. Tickets may be purchased online or at gates day of show. When purchasing tickets online a $5 surcharge will be collected at the gate day of show for those under 21.